The 4th quarter 2016 We’ve Got a Bigger Problem Now WHTM pledge drive is almost over! If you like the blog, please donate what you can! THANKS! 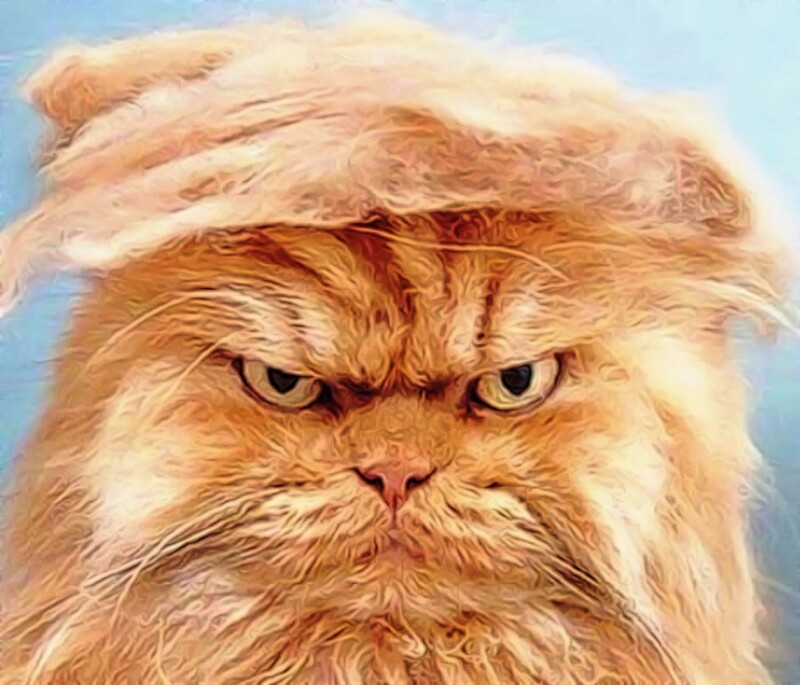 PUBLIC SERVICE ANNOUNCEMENT: If you’re thoroughly sick of seeing Donald Trump’s orange mug plastered all over the internet, there’s a handy little Chrome extension that replaces Trump pics with adorable pics of kittens. Aw, who’s a furry little president-elect? Alas, it does not make the news itself any more adorable. Kitties help make the world a better place. I hope this becomes available on Firefox too. I don’t use Chrome. I have exactly two extensions installed: AdBlock and this. Those are my only two extensions now too. I’m one of those losers who still uses Internet Explorer, but…oh, wow. That’s great. Wow, the front page of Raw Story looks so much better! 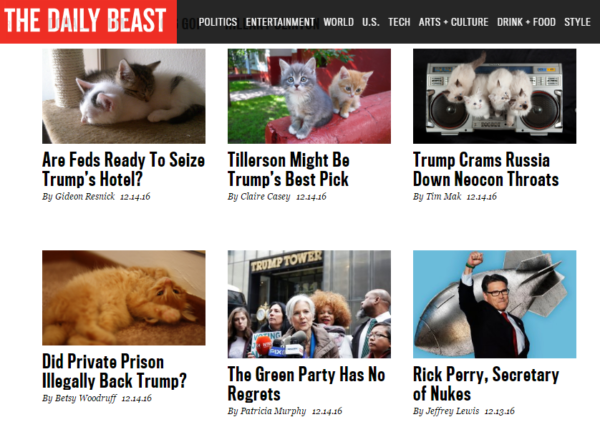 If you’re using an ad blocker and having trouble seeing the kittens, make sure it allows the images from tomroyal.com. I use Detrumpify on Firefox. It replaces “Trump” with a variety of other descriptions (my favorite being “Lumbering Human-sized Tardigrade”). It also has options to replace Pence and Alt-right as well as replacing pictures of Trump with kittens, although the kitten pictures seem to be more hit and miss than the other things.